P.S. 221 was able to “raise the roof” for the Ronald McDonald House! The grade level that collected the most money was 3rd grade with total of $343.21. 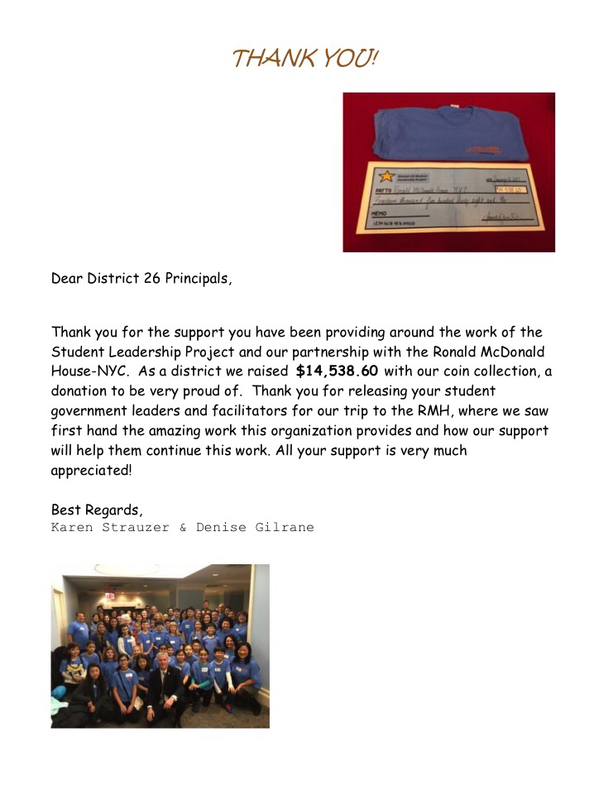 As a school we collected $1,726.19 in donations! The money raised will go directly to the Ronald McDonald House so they can continue providing support to families during difficult times. Thanks to the generosity of our P.S. 221 family, more than 225 new toys were donated to Toys for Tots​ in the month of December. 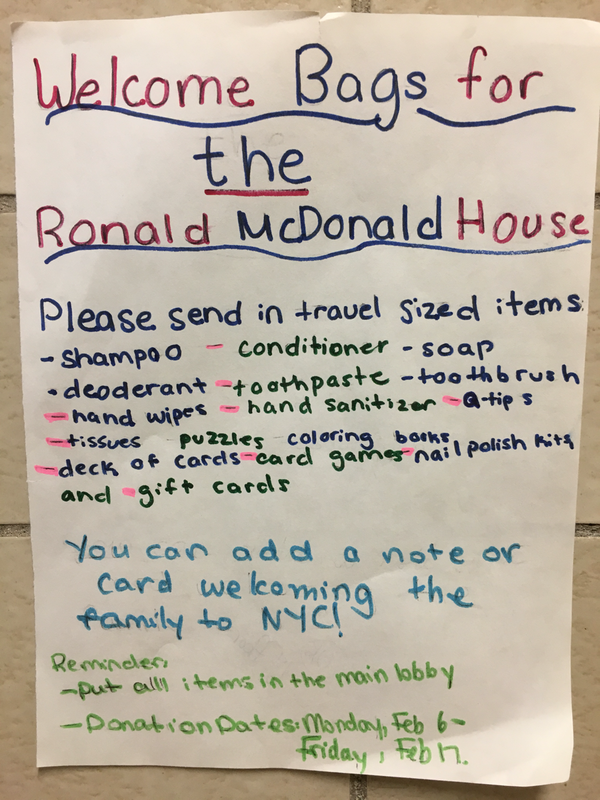 Donations were delivered by our fourth grade singers at the Christmas Tree Lighting Event at Queens Borough Hall on December 7th. P.S. 221 and your Student Organization want to take a moment to thank everyone for their generous donations to Trick-or-Treat for UNICEF. With your help, we were able to raise $1,164.83 to help save lives and help children around the world! This is just another amazing example of what we can do as a team!